Hot Hands freaks everyone out because her gloves are made out of metal and her hands are fire. A little boy went to school and he fell in love with Margo. The boy made a snowman for Margo because when she builds one the snowman always burns out. I like this book because it's so awesome and great and rockin'. It teaches me that you should be a friend. My favorite part is when the boy met Margo. The art was so great that I freaked out. 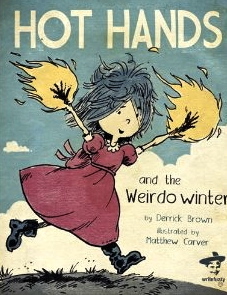 I would recommend this book to kids who have hot hands. LitLass's note: Ralph is the new kid at school. Until he meets Margo, or Hot Hands as everyone calls her, he doesn't have any friends. Margo's hands are made out of fire and she's shunned by her classmates because of it. Ralph doesn't care that Margo is different. In fact, he thinks being weird is good (he'd like Johnny Boo). He finds lots of good things about Margo, and about her hot hands. He says to her, "I would never be afraid of the dark if I could carry around the sun!" Together Ralph and Margo learn what it means to be a true friend. Ralph and Margo make a caramel popcorn snowman together. 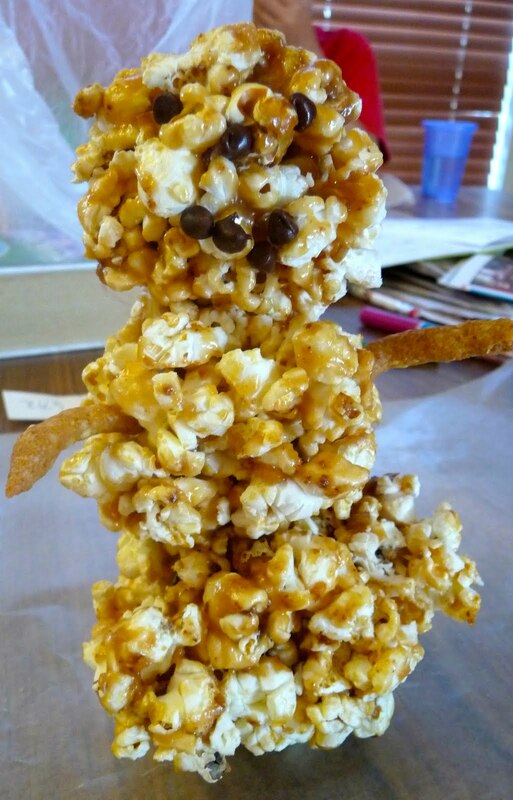 Tintin (8) made our popcorn, Johnny Boo helped make the caramel, and Tintin and I made the snowmen (our recipe). Johnny Boo would have helped with a snowman, but he was nursing his own hot hands after touching the stovetop. He was much better after having his snowman. Thanks to Write Fuzzy for the book! We'll have a review of another Write Fuzzy book, also by Derrick Brown, up soon. What a funny little book! But I love the cover illustration! 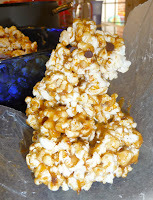 Thank you for linking to Kids Get Crafty. Always lovely to see you there!